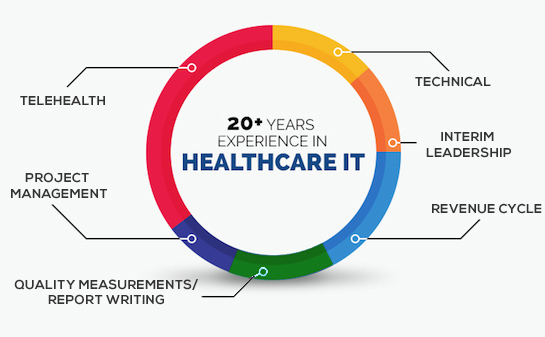 Blue Cirrus Consulting has a highly skilled healthcare IT workforce. You can depend on our experience and knowledge to help you achieve your business objectives. Sustainability is key to a successful clinical program. Our experienced team of consultants provides leadership at all points of the telehealth roadmap. An award winning thought leader in the industry, Blue Cirrus is a prominent speaker at telehealth conferences across the country. 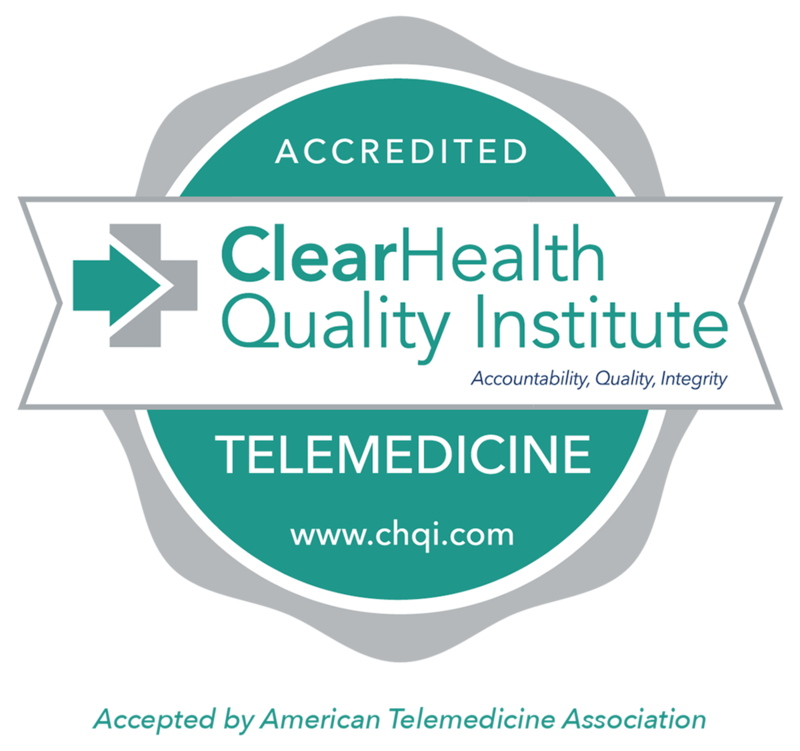 Named “Top Telehealth Company to Know” by Becker’s Hospital Review and certified as CHQI Telemedicine Recognized Consultants. Organizational leadership is the key factor in achieving goals and maximizing efficiency. Identifying, securing and mentoring the right leader takes time. Our consultants are industry experts in their field. As your partner, Blue Cirrus has the capability to enrich your team, provide advice and guidance, continue your success, and assist in planning future strategies. A project manager with steady and reliable leadership is key to an on time, on budget result. Our PMI certified project managers partner with your team to achieve success through effective planning, consensus building and accountability. Planning and decision making in the ever changing world of healthcare can be a challenge. Our team of executive leaders have a unique understanding of healthcare and how to build an effective strategic plan, identify gaps in a business plan and help you build a stronger organization with effective long term planning. As a woman owned small business we understand how to effectively partner with prime vendors as well as lead the way when tasked. We are committed to the health of our nation including Veterans and Native Americans. Our understanding of the commercial sector make us a winning partner. We take the time to understand you and your facility. Our team of healthcare leaders and IT experts work with healthcare institutions across the country, helping them achieve their goals. In the changing world of healthcare, the Blue Cirrus team is ready. Expertise in the areas of Advisory services, Interim Leadership, Telehealth, Population and EHR vendor expertise are just a few of our strengths. Our team is comprised of experts who have been there and done that. Our leadership has international leadership experience working with healthcare systems across the globe and have led healthcare organizations through major transformations. Our clinicians have managed prestigious telehealth programs, project managers have saved clients millions of dollars in project expense and our supplemental resources have the years of experience you expect and deserve. Hiring a consulting firm is easy when you know they can make a difference for you – and we will! Matching our client’s needs with the right consultant is something Blue Cirrus Consulting does exceptionally well. We take the time to learn about you and your facility. By understanding your core goals, market competition, structure and culture, we are able to identify the best solutions for your organization. We engaged Blue Cirrus Consulting to provide strategy and leadership to the Connected Care division of CHRISTUS Health and our experience with them has been excellent. Blue Cirrus provided an RN with over 15 years of direct operations and clinical workflow experience in the practice ofTelehealth/Telemedicine. We look forward to continuing our work with their team as we continue to build our Telehealth program. I couldn’t be more appreciative of the Blue Cirrus team. They provided a challenging, yet rewarding, work experience that was definitely a building block for my career. Michelle and team truly care about you as a person and are committed to their team member’s success. Blue Cirrus has a thorough understanding of the implementation process, clinical operations, and considerations for a Tele-ICU project. lntermountain is leveraging this expertise to work in partnership with out internal Telehealth experts to implement a solution that will improve quality and address challenges in providing coordinated care. The professionals with Blue Cirrus Consulting are reliable and dedicated to assisting their employees. I have been fortunate enough to have them in my corner. Their open communication and availability to their staff have offered a comforting and trustworthy component. Blue Cirrus has been able to assist us by creating a business plan which includes a new telehealth services structure that allows clear alignment and scalability of those services and their staffing models. The strategy created by Blue Cirrus Consulting provides Adventist Health with a solid plan for the implementation, operation, and sustainability of this program. The culture that I have engaged in as a new employee stems from a genuine respect, commitment and interest of community, work, and family life from Blue Cirrus. The company's involvement goes beyond that of traditional corporate environments and I am proud to admit that I am part of a company that is a vibrant, people-oriented, enthusiastic organization focused on individual and client needs. With the many milestones of health reform and Meaningful Use, we are thrilled to have a trusted resource of Judy's caliber. Of course we would expect nothing less from Blue Cirrus. I have thoroughly enjoyed working for Blue Cirrus. They have a friendly knowledgeable staff and dedication for each contract that they fulfill. I love the flexible work hours and our Team Lead was wonderful to work with! I look forward to many more years of service with Blue Cirrus. Michelle is excellent at managing resources and handling interpersonal relationships, keeping both clients AND consultants happy during engagements. I highly recommend partnering with her new firm, Blue Cirrus Consulting. I’ve never worked for a better group of people in the healthcare industry. I know I can always reach my leadership at Blue Cirrus with any questions or concerns I might have. More importantly, they really do follow up. Blue Cirrus feels more like being part of a family rather than a consulting firm. I really appreciate their attention to detail and mentorship. Although we did not see each other in person often I always felt like they were still within my reach whenever I needed them. Every team member I encountered always greeted me with a warm smile and made my needs top priority. Working with Blue Cirrus has been a wonderful experience. It was the perfect combination of strong work ethics, professionalism and great people. I truly felt that I was part of a team and that my input was heard and that it mattered. I wasn’t just an employee to them, I was an empowered extension of their company. Blue Cirrus is committed to empowering healthcare providers as the trusted resource for information technology services and clinical program development. We are dedicated to the success of our clients by providing superior consulting at just the right time.